The vitamin content of the sea buckthorn berry is unmatched amongst the local fruits which led to its nick name “Lemon of the North”. 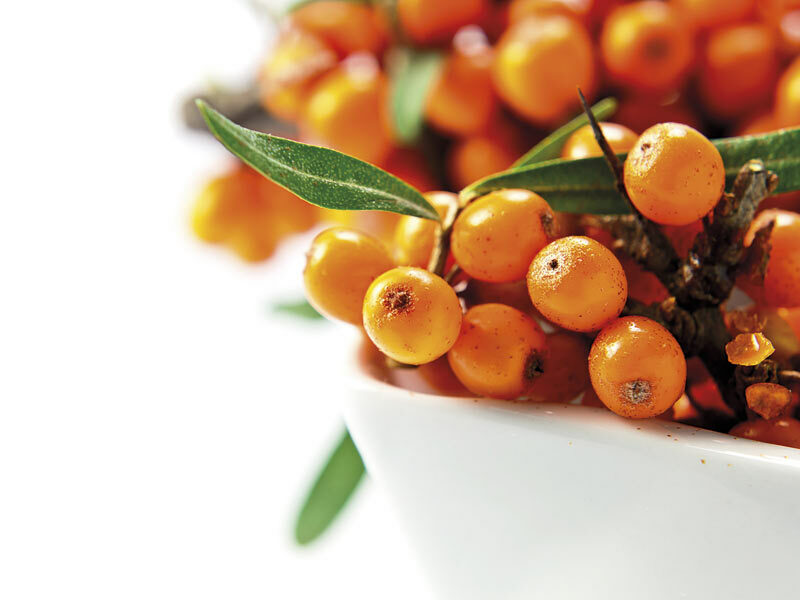 Thanks to innovative fruit mixtures, Lienig has made sea buckthorn available to new consumer groups. Among other things, this was made possible through fruit juices from sea buckthorn, produced at the company’s own laboratory. These juices show a stable turbidity which prevents the usual optically negative precipitations of the pulp. 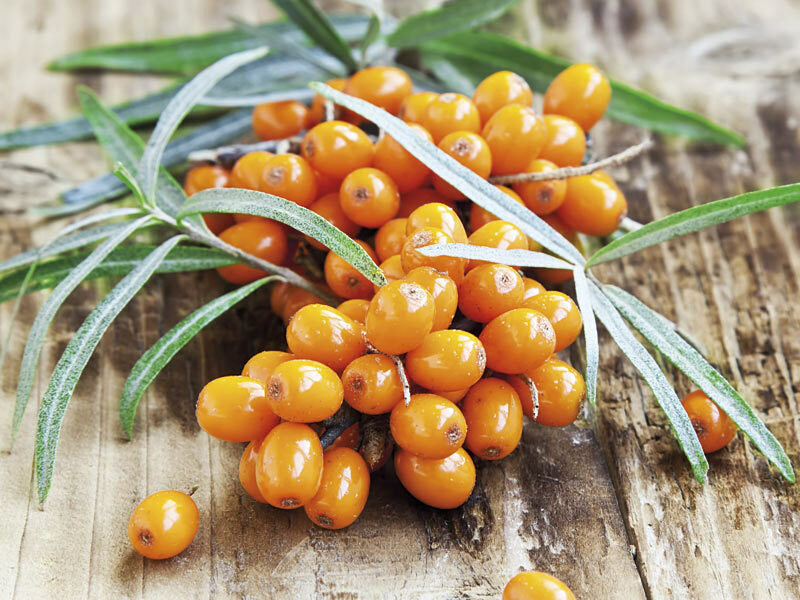 Sea buckthorn is a "sleeping giant just waiting to be discovered by the branded products industry". It is widely spread in Central Asia, grows everywhere in a moderate, maritime or continental climate, preferably on poor soils. Hence, there are ideal conditions for it also in the March of Brandenburg and Mecklenburg-Western Pomerania. There are male and female plants (1:1). Sea buckthorn is a protected plant in Germany. Distinctive features are the thorny, greyish brown, unwieldy branches and the coral red berries that start coming out in August. After a three year long growth period the sea buckthorn berries can then respectively only be harvested every two years. The twigs are cut off and separated from the fruits through a vibratory system in the harvesting machine. Extremely sensitive berry types will be frozen together with the twigs and then cut off in a frozen state. Produced in a merely physical way by means of cold pressing. Therefore it does not contain any solvent additives and is a bright, light brown, clear oil free from inorganic salts and heavy metals. This product is solely produced from the mentioned raw material, it does not contain additives or technical auxiliary materials. This is a 100% natural product according to the food legislation and the current German flavour regulation. 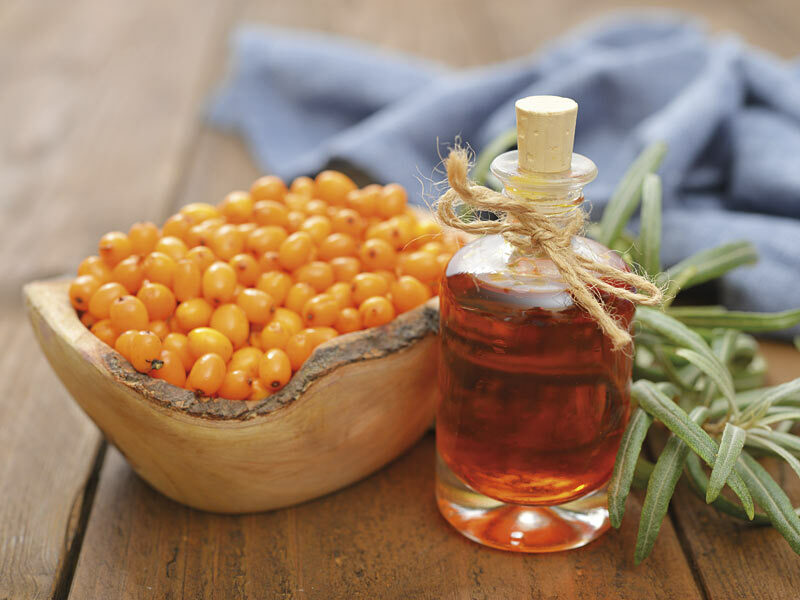 Sea buckthorn pulp oil exhibits a high stability. If the packaging is unopened and stored in a cool place, it can be stored for at least five years without any loss of quality.